Between bugs that chew and pets that claw, window screens can lose their effectiveness and detract from your home's appearance. 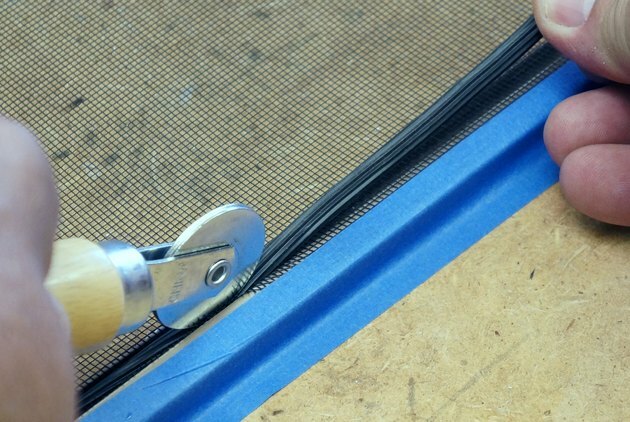 Repairing a window screen takes just minutes and costs very little. New screen materials on the market offer improved visibility, pet durability and other specialized features. 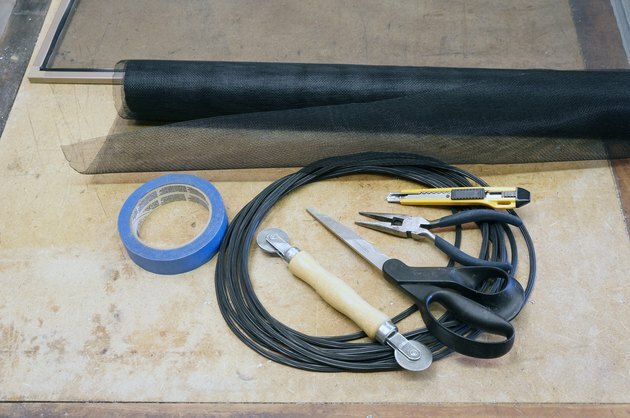 Things you'll need to replace your window screen. The toughest part is buying the right sized spline. 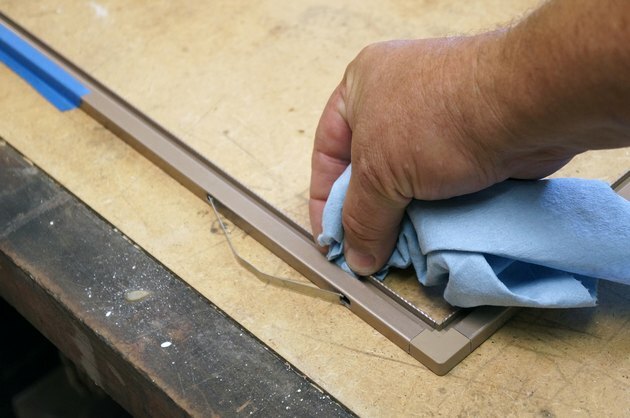 Measure the spline on your screens before you head to the home center. Please see the last slide for an itemized list of tools and materials. Secure frame to work surface. 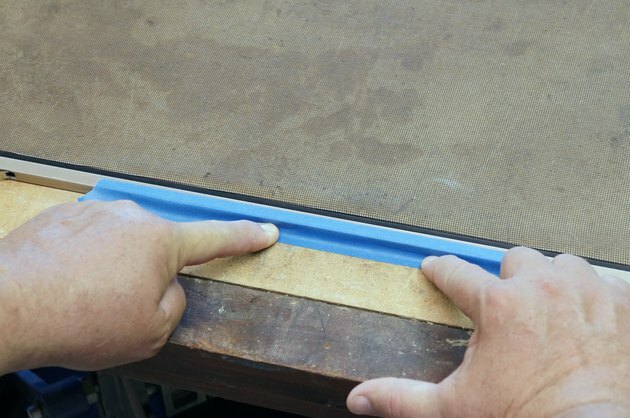 Tape the screen frame to your work surface. 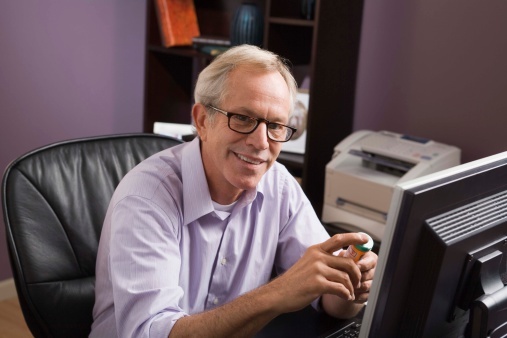 This holds the lightweight frame in place while you're working. Duct tape holds a bit more securely than masking tape, but leaves more adhesive residue. Remove old spline and screen. Remove the old spline from the spline groove. Needle nose pliers make the job easier, particularly on small diameter spline material. After the spline is removed, the old screen material will lift out easily. Don't trap dirt in your new, clean screen. Clean the spline groove and the rest of the screen frame. 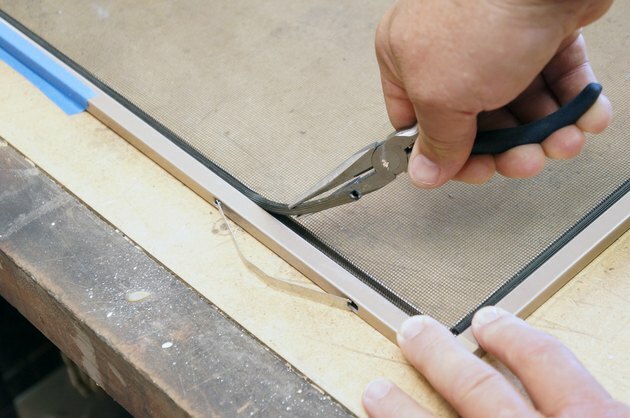 Lay the new screen material over the frame and cut it to size with scissors. Leave about an inch of overlap on all four sides. Press spline in with roller. Lay the new spline on the screen just above the spline groove. Start with an end right in one corner. Use the concave roller of your spline tool to press the spline into the groove. 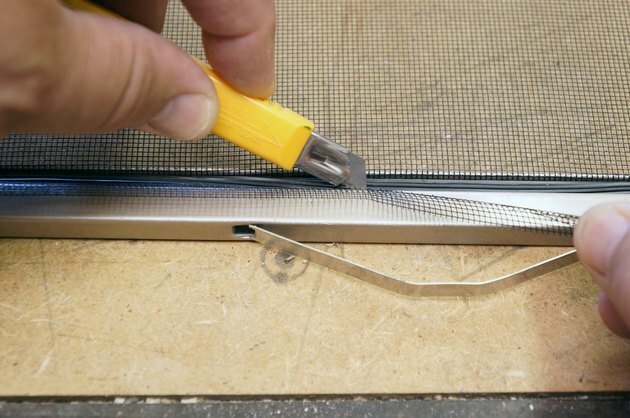 Trim the excess screen material with a utility knife. Work with your knife at a 45 degree angle to the frame. Guide your cut with the spline, but be careful not to cut into it. Install completed screen into your window frame. 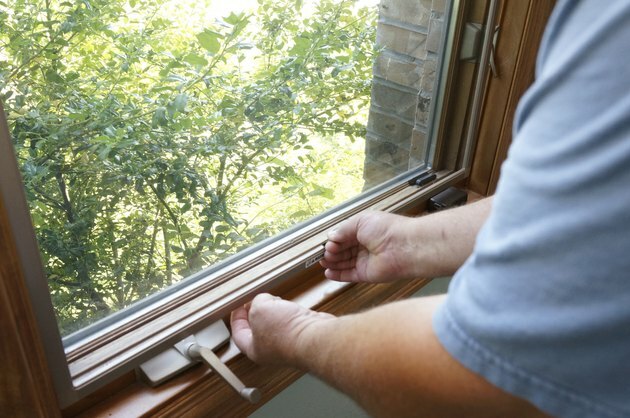 Place your screen back into the window frame and enjoy the fresh air.